I consider Abby Johnson a good friend. 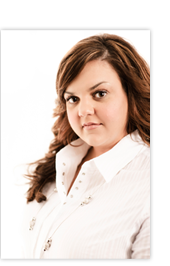 She and I became acquainted just weeks after Abby left the abortion industry. We flew her to Cincinnati to be interviewed for our TV program, Facing Life Head-On. I immediately knew her message was one the pro-life movement needed to hear. 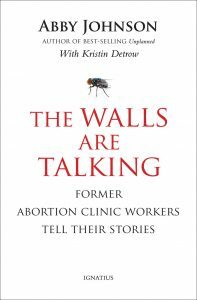 Abby’s second book, The Walls Are Talking, is a compilation of her experiences and others who’ve worked in the abortion industry. This quick read is packed with jewels of advice you and I should take to heart in our efforts to end abortion. The entire book is written in first-person so that the reader is never certain whether the words are coming from Abby or another anonymous former worker. The Walls Are Talking is quick to point out that pro-life education is a critical foundation for avoiding future decisions that lead to and include taking the life of their own babies. Abby’s plea to parents is educate your children; otherwise the abortion industry will be more than happy to fill that void with values opposite your own. Revelations permeate the book. For example, pro-abortion activists and industry workers publicly assail any and all stigma attached to abortion, but ironically we see that same stigma alive and well within the hearts and minds of their own comrades. One woman revealed that she stood side-by-side with other pro-abortion activists, chanting their unrestrained support of abortion, while keeping her own abortion past a secret. In my experience counseling hurting fathers who’ve lost a child to abortion, anger is the most consistent symptom to contend with. The Walls Are Talking confirms that this indicator of post-abortion stress is also prominent in abortion staff, especially the abortionists themselves. As we all know, the abortion industry has very little to do with “choice” and is almost entirely about pressure, coercion or outright force to secure another abortion to fatten the bank accounts of those who pedal death. Even so, the specific accounts are stunning. In the brief period of about two years, one worker revealed multiple examples of how her facility operated with a blatant disregard for women’s rights—a direct divergent from their carefully orchestrated image. And center managers were quick to remind employees that the Planned Parenthood main office was in the habit of tapping their phone calls and sending in spies to make sure everyone was towing the company line. One petite young girl will forever remain in the memory of a worker who recalled her naturally conceived pregnancy of identical boy quadruplets. To say she was pressured by her thug boyfriend to abort the children would be an understatement, yet she had no ally in this bastion of feminism. Returning to the abortion center after a mishandled chemical pill abortion, the tiny girl was in the final stages of labor. The first of four dead baby boys was born in the toilet. The second two were born in the hall with their arms wrapped around each other. The final baby had to be extracted in pieces. Scattered among profoundly heart-tugging accounts were additional revelations about the industry: As long as the business is profiting “there’s no [moral or ethical] line” that can be crossed. And approximately seventy percent of Planned Parenthood employees are themselves post-abortive. One of the most important lessons The Walls Are Talking imparts is that all of our interactions with abortion industry workers should be wrapped in love and girded with prayer. A peaceful pro-life presence outside abortion facilities has by the abortion staff’s own admissions increased the rate of no-shows up to 75%. Furthermore, the importance of prayer should never be underestimated because those inside the walls of death are being impacted. This entry was posted in Planned Parenthood by Brad Mattes. Bookmark the permalink.